Step 1: Rest for 24 hours and re-examine for any neurologic symptoms (e.g. headache, nausea, light sensitivity, amnesia, poor balance, etc.). If no symptoms, clear for light exercise. Step 2: Re-examine for recurrence of symptoms 24 hours after previous exam. If no symptoms, clear for more strenuous exercise (does not include contact). Step 3: Re-examine for recurrence of symptoms 24 hours after previous exam. If no symptoms, take IMPACT test and compare to baseline. If IMPACT test results near pre-season baseline, player may continue strenuous exercise. Step 4: Examination by independent neurologist. If cleared, may return to contact. Any recurrence of symptoms, regardless of how minor, would restart the process at Step 1. If that’s accurate, a player injured on Sunday could be cleared for light exercise late Monday / early Tuesday, cleared for more strenuous exercise on Wednesday, pass his IMPACT test Wednesday or Thursday and be cleared by an independent neurologist late Thursday or early Friday. That’s consistent with what I’ve seen around the league and how we commonly clear our high school athletes. Therefore, it’s no surprise that Fred Jackson has already been ruled out of Thursday’s game. It’s not necessarily a sign that his concussion is a multi-week injury. But it’s nearly impossible for him to meet the requirements of the return-to-play algorithm in time for a Thursday game. It’s also no surprise that Michael Vick is already being considered doubtful for this week’s game after reports that his symptoms had persisted at least into the late evening yesterday. Television replays show a mechanism of injury suspicious for syndesmotic injury for Julio Jones. Though Julio Jones returned to the game yesterday and looked effective, the “shin injury” that John Clayton reported on Twitter yesterday afternoon had the mechanism of a syndesmotic injury (high ankle sprain) on replay (see right). Syndesmotic injuries have become a running theme on the blog this year and regular readers know what I’m about to write next. It’s not impossible for a player with a syndesmotic injury to return to the game on the same day. There’s no guarantee that those that do won’t miss the following week’s game. It’s also not true that all syndesmotic injuries will take 3-4+ weeks to heal. To be clear, I’m not saying that Julio Jones won’t play in Week 11. But don’t be shocked if we learn later this week that he’s much closer to a game-time decision (or worse) than he may have looked during the second half yesterday. Darren McFadden was still in a walking boot in the locker room today. That’s not unexpected. The medical staff will keep him immobilized as long as possible, only removing the boot for therapy and range of motion work. It’s not a lock that he’ll miss this week’s game, but I think he’s likely closer to doubtful than questionable. I was surprised that Aaron Hernandez was ruled out of last week’s game after practicing last week. Most reports suggest that he “returned too soon” from his syndesmotic sprain. I’m not so sure. While Hernandez was clearly not at full strength, he played nearly 100 effective snaps before what sounded like a relatively minor tweak late in Week 7. Hernandez had three weeks of rest and seemed very confident in his return with reporters last week before Saturday’s surprising report. That sets my spidey senses tingling and suggests the possibility that Hernandez suffered another tweak during Friday’s practice. I don’t think it’s a lock that Hernandez returns this week. DeMarco Murray was cleared to work out on the side last week and is close to returning. If he can show the medical staff that his injured leg is at least 90-95% as strong as his healthy leg early this week, he’ll be cleared for practice and will have an excellent chance to play. If he’s cleared to practice, there’s no guarantee he’ll be cleared to play. The Cowboys may use this week to improve his conditioning and ease him back into football shape. If he is cleared to play, it’s unlikely he’ll be given a full workload right away. Greg Jennings continues to say that he’ll return “sooner than later” after abdominal surgery ten days ago. He’s not yet been cleared to practice, however, and three weeks was always the most optimistic of possible return dates. Though the procedure went smoothly by all reports, I think Week 13 is the earliest we’ll see him return and it won’t be surprising to see his absence stretch to Week 15. Maurice Jones-Drew told reporters last week that he was two weeks from playing. I told listeners on the live Audible podcast last Thursday that was unlikely and I think it’s even more unlikely today. Jones-Drew was still on crutches last week and remains in a walking boot. I think it’s very likely that he’ll remain immobilized at least one week after shedding the crutches. It’s also very likely that he’ll need at least two weeks of conditioning and practice before being cleared to play. If that’s accurate – and it’s generally been the pattern for players returning from foot sprains in recent years – the earliest we’ll see Jones-Drew on the field is Week 13. If he’s still on crutches at the end of this week, it’ll be longer than that. Pierre Garcon was practicing on the side today, but he’s not necessarily any close to returning. I’m speculating here, but I think the vast majority of players with his injury would have already undergone surgery. It looks to me like Garcon has refused surgery and is making an effort to convince himself he can play through the injury. He’s at high risk of dislocating his toe should he do so. I’ll be surprised if he’s pain free this week and ready to play. More likely, he’ll have no choice but surgery. Jordy Nelson was back at practice today. That’s a good sign on both ankle and hamstring injury fronts…Percy Harvin will have two more weeks to rest his ankle sprain with the Vikings on bye this week. He may need them if his comments that he sprained three ligaments are accurate. That suggests a higher grade injury…Ahmad Bradshaw needed x-rays for an undisclosed injury yesterday. The team says it’s not related to his chronic foot issues…Owen Daniels reportedly has an injury toward the back of his hip. 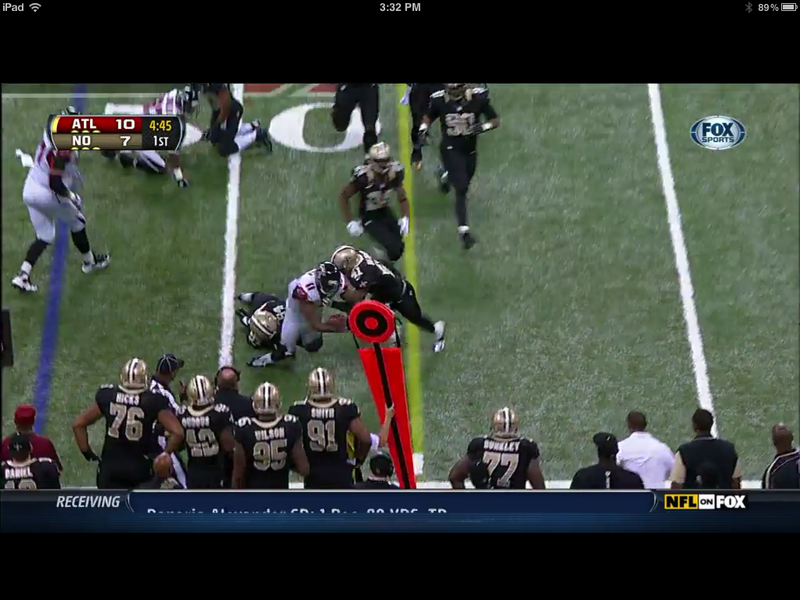 That’s not the classic location of a hip pointer, but would be very limiting for a blocker/receiver. He has a much better chance to return this week…Miles Austin missed time with a leg injury yesterday but returned to the game. The Cowboys haven’t updated his status yet…Antonio Brown was confirmed to have a syndesmotic sprain last week. Though it was reportedly a low grade injury, he’ll likely be questionable to play this week at best…Jeremy Maclin has a lower back strain and his Week 11 status is unknown.